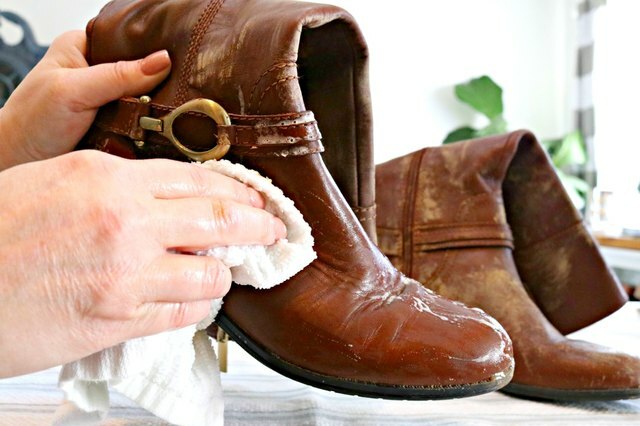 Leather boots and shoes can be delicate and require a bit of care when cleaning. Harsh chemicals can damage leather and dry it out, leaving cracks and tears. 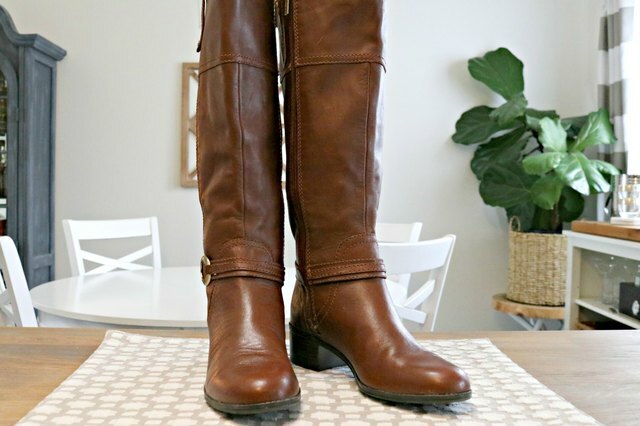 Even though they may need a softer touch, leather boots and shoes are actually pretty easy to clean with a couple of natural ingredients that you may already have in your pantry. Step 1: Add Castile soap to a bowl of warm water. 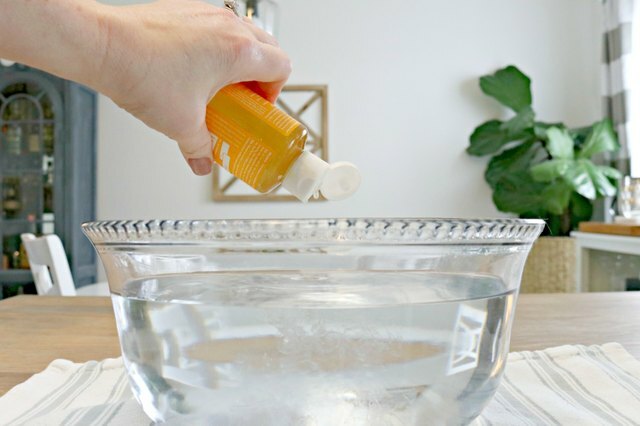 Pour 2 tablespoons of Castile soap into a bowl of warm water. Castile is a vegetable based soap that is great for cleaning leather and other delicate items including sheepskin boots. Step 2: Clean with the soapy mixture. Simply dip a cloth into the soapy mixture, wring out and wipe away any dirt, salt or other stains. Dip the dirty cloth back into the soapy mixture to rinse several times while cleaning to remove excess dirt and debris. Step 3: Wipe away the soapy mixture using a clean cloth. There is no need to rinse the soapy mixture away. Wiping with a dry cloth should remove any residue. Let your boots or shoes dry overnight. Insert towels or a pool noodle into the boots to help them stand upright during drying. 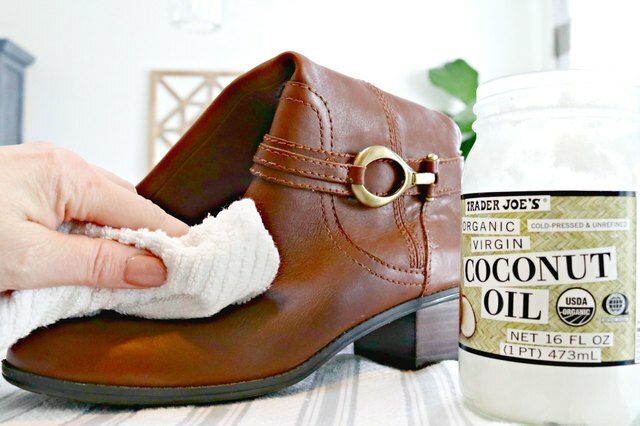 Step 4: Condition your leather boots or shoes with coconut oil. 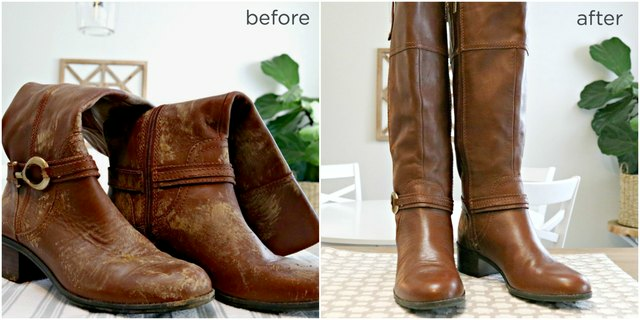 Rub coconut oil into the boots using a clean cloth and circular motions. Buff with a clean cloth after 20 minutes. 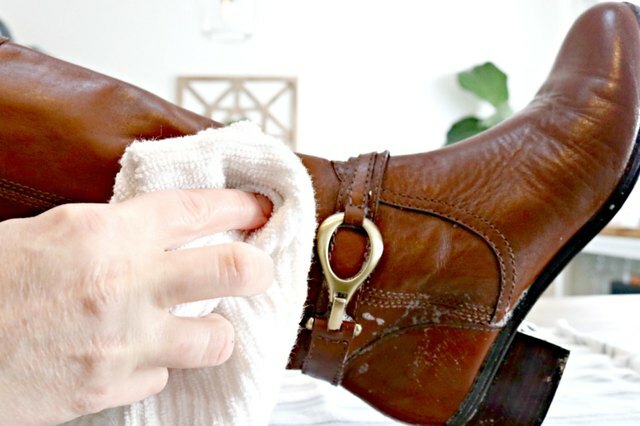 Clean your boots using this method as often as needed. You should condition leather boots and shoes at least once per month to help keep the leather hydrated and prolong the life of your boots or shoes. This method also works great for leather belts, purses and briefcases. Store leather boots upright or lying flat on their sides to help them keep their shape.